This document will guide you through the process of removing files from being shared. 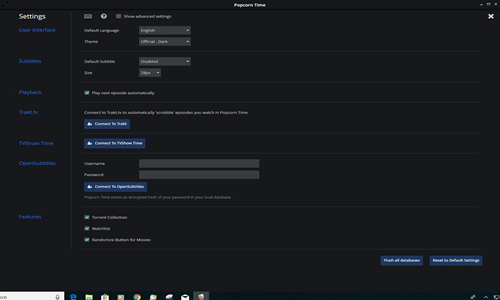 There is no direct way of disabling file sharing within the Popcorn Time application. Users must take into consideration that any file sharing application does expose risks of copyright material, malware and viruses. This guide will walk you through the process of some sharing features. 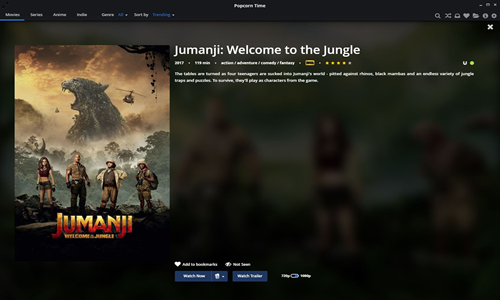 Please note, Popcorn Time shares file as soon as you click “Watch Now.” The program will automatically download a copy of the program watched into a folder on the device itself. 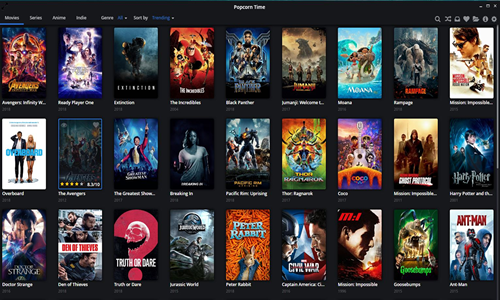 As long as Popcorn Time is used on the device, it will continue to file share. 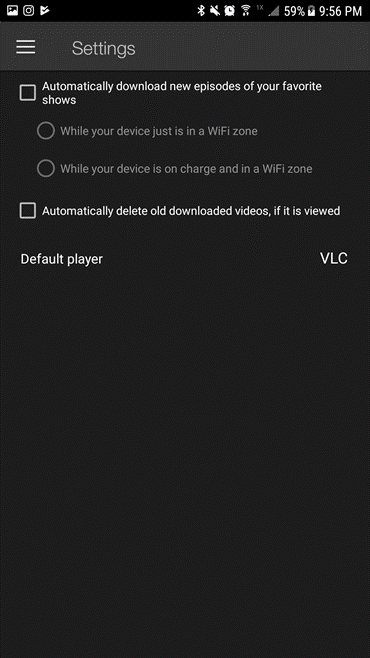 To watch a movie, you would click on the program you wish to watch, and then click “Watch Now.” As soon as you do this, the program will download onto your device and begin sharing. 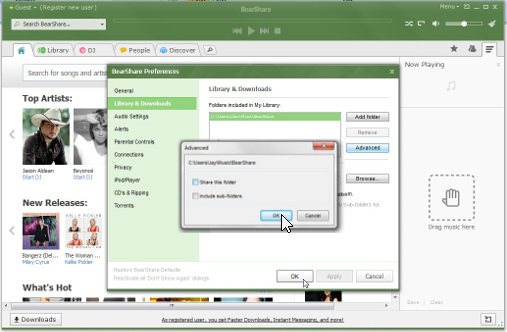 There is no direct way of disabling file sharing within the Show Box application. Users must take into consideration that any file sharing application does expose risks of copyright material, malware and viruses. This guide will walk you through the process of some sharing features. Please note, if you just stream using the Show Box application, you will not share any files. 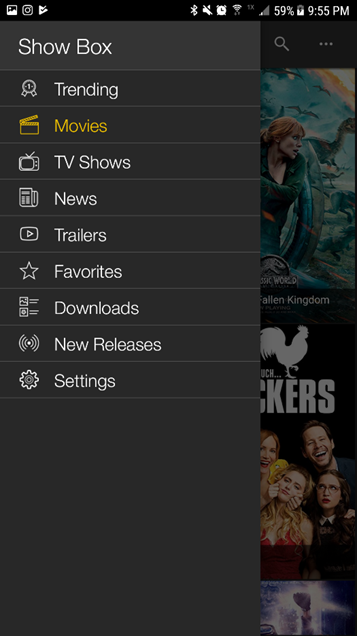 Open Show Box in order to search for available programming to either stream or download for offline viewing. “Settings” only allows you to decide when/if a download is going to take place automatically. It also will delete previously viewed files. It will not stop file sharing. Once you locate the program you wish to view, you have the option of “Watch Now,” or “Download.” If you choose the “Watch Now” option, the program will begin to play. 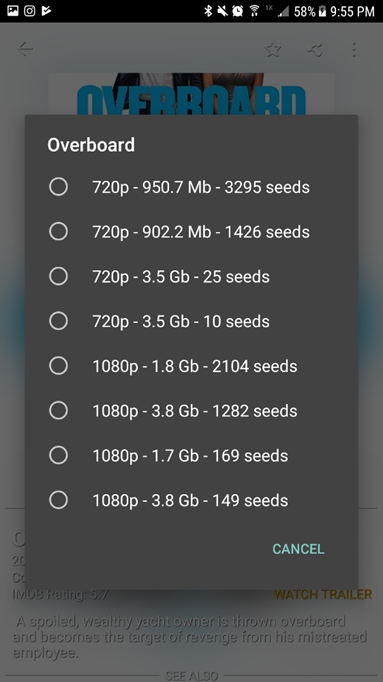 Once you choose “Download”, “seed” options are displayed. Every “seed” is a device that is currently connected to the Show Box network and sharing files. Once you download using the program, your device will become a “seed” anytime it connects to the Show Box network. Begin by opening Ares and select the "Control Panel" tab. Click on the "Filesharing" tab. Click on the "Manual configure" tab. Click the check box next to each shared location until the box turns gray. If the box is checked or is red it will share files in that folder. Click "Ok" to exit the settings. Begin by opening BearShare and click the preference button. Select the shared folder and click "Advanced". Uncheck the box next to "Share this folder" and "Include sub-folders". Then click "OK". Click "OK" to close the BearShare Preferences. Begin by opening DC++ and select "Settings" from the "File" menu. Select "Sharing" from the left. From the "Shared directories" select the shared directory you want to remove and click "Remove". 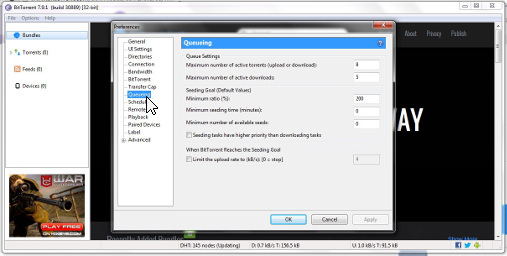 Begin by opening eMule and click the "Options" button. Click "Directories" from the left. Click on the box next to each listed folder to uncheck them, once unchecked the folders will no longer be shared. Begin by opening FrostWire and Selecting "Options" from the "Tools" menu. Click "Sharing" from the left. Click on the box next to each listed folder to uncheck them. Once unchecked, the folders will no longer be shared, click "Apply" to continue. Select "Types" from the left. Click on the box next to each listed file type to uncheck them. Once unchecked, these file types will no longer be shared, click "OK" to finish. Begin by opening LimeWire and clicking "My Files". Right click on the file you would like to unshared and click "Remove from List". This will need to be done for every file listed under "Public Shared". When you are finished, close LimeWire. Begin by opening Morpheus and click the properties button. Select "Share" from the left. Please use the following links to find instructions for disabling uploads in your Peer to Peer File Sharing Program. Please note that PenTeleData cannot provide support for the following programs beyond these instructions. 1. Begin by opening BearShare and select “Menu.” Choose “Preferences” from the “Tools” menu. 5. Click “OK” to close the BearShare Preferences. 1. 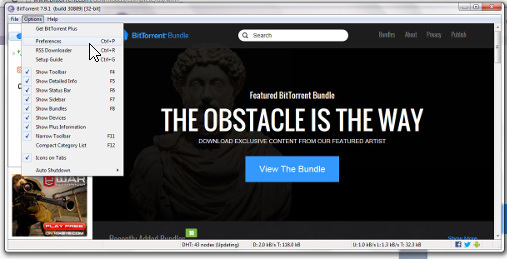 Open bitTorrent and select “Preferences” from the “Options” menu.